Demega formulations India is involved in offering excellent quality medicines to our most valued clients. The pancreas an organ that lies near the stomach makes a hormone called insulin to help glucose get into the cells of our body.Insulin lowers blood glucose levels, regulates Carbohydrate Protein fat metabolism by inhibiting hepatic glucose production and enhancing peripheral glucose disposal.Our offered products are widely appreciated by our clients which are situated all round the world. Demega formulations India is a major exporter of INSUMAN BASAL injection(insulin PROTAMINE & INSULIN ISOPAHN ) hormone Insulin--- causes cells in the liver, muscle, and fat tissue to take up glucose from the blood, storing it as glycogen in the liver and muscle. In Diabetes ,when prolonged action is required lowers blood glucose about 1½ hours after subcutaneous injection,effect will last up to 24 hours. we assure quality of insulins,insulines of long expiration and ship in packing. Demega formulations India is a major exporter of combination "GLYCIPHAGE-G (Glimepiride +Metformin )" in two types of dosage strengths. Glimepiride stimulates the insulin release from functioning pancreatic β-cells and increases insulin sensitivity at peripheral target sites. Metformin decreases hepatic gluconeogenesis, decreases intestinal absorption of glucose and improves insulin sensitivity (increases peripheral glucose uptake and utilisation). We assure quality of medicines,medicines of long expiration date and ship in discreet packing. Demega formulations India is major exporter of Linagliptin Tablets for treatment of type II diabeties by stimulating the release of insulin in a glucose-dependent manner and decreases the levels of in the circulation. 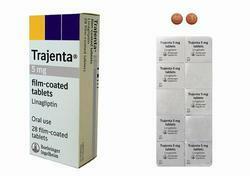 Linagliptinmarketed in the USA BY brand name"Tradjenta". Demega formulations India is a major exporter of ultralong-acting basal insulin"TRESIBA(Insulin degludec)' for the treatment and management of type 1 and type 2 diabetes mellitus. 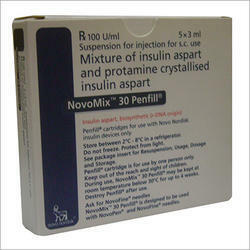 "TRESIBA(Insulin degludec)'should be administered once daily, and the action of insulin is over 42 hours. The long-lasting action of "TRESIBA(Insulin degludec)' can flexibly allow the patients to self-administer, whenever needed AND the anti-hyperglycemic effect is unique as the threat of nighttime low blood sugar in elderly diabetic adults in comparison is reduced. Demega formulations India is a prime exporter of biphasic human insulin analoge"MIXTARD 30(soluble insulin isophane insulin) "a short-acting and an intermediate-acting insulin combination.Primixing eliminate the difficulty in mixing insulin. 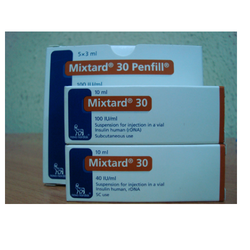 "MIXTARD 30(soluble insulin isophane insulin) " comes in different premixed combinations . we assure quality of insulns,insulins of long expiration date and ship in discreet packing. 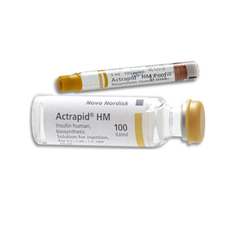 Demega formulations India is a prime exporter of human soluble insulin "ACTRAPID(short acting insulin)" Injection should be followed by a meal or snack within 30 minutes ,Maximum effect: 1-3 hours. Demega formulations India is a major exporter of INSUMAN 25/75 inj-&-INSUMAN 50/50 inj(insulin NEUTRAL & INSULIN ISOPAHN ) hormone Insulin--- causes cells in the liver, muscle, and fat tissue to take up glucose from the blood, storing it as glycogen in the liver and muscle. We assure quality of insulins,insulines of long expiration and ship in discreet packing. 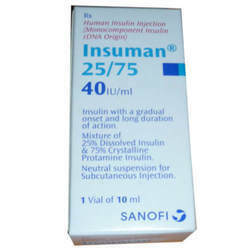 Demega formulations India is a major exporter of INSUMAN RAPID inj 10 ml injection(human insulin 40 iu/ml ) hormone Insulin--- causes cells in the liver, muscle, and fat tissue to take up glucose from the blood, storing it as glycogen in the liver and muscle. 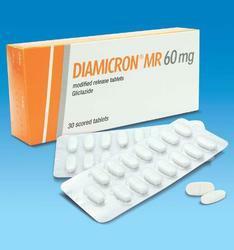 Demega formulations India is major exporter of DIAMICRON MR 60mg. 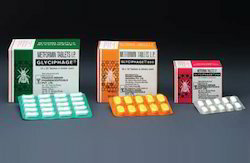 (Gliclazide 60 mg.)and Modified-release breakable tablets. 60 mg. is an oral antidiabetic agent used in a certain form of diabetes (type 2 diabetes mellitus) in adults and is classified as a sulfonylurea increases the amount of insulin released by the pancreas and helps the body use insulin more efficiently. 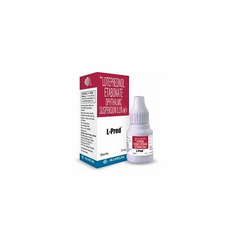 Demega formulations India, is major exporter of L-Pred (Loteprednol) Eye Drop" is used in the treatment of eye swelling after surgery, also used after eye surgery. Loteprednol works by relieving symptoms such as swelling, redness,rashes. "Loteprednol Eye Drops" also known as ALREX EYE DROPS 0.2% in USA. Dose Adult: Administer 5-10 min before meal. Usual range: 0.5-1 units/kg/day. we assure quality of insulines.insulines of long expiration date and ship in discreet packing. Bimat Eye Drops (Bimatoprost) are used to treat treat hypotrichosis (short eylashes). It increases the length, thickness and color of eyelashes. These eye drops are also used to reduce intraocular pressure in patients diagnosed with glaucoma. By alleviating the pressure the risks of blindness associated with this condition are significantly reduced..
Dose/Strength (ex. 1 mg or 1ml) Adult: 200-300 mcg 3 times/day. 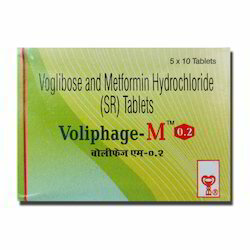 Demega formulations India is a prime exporter of " VOLIPHAGE M (Voglibose metformin)" a combination in which Voglibose delays the absorption of glucose thereby reduces the risk & Metformin helps to control the amount of glucose (sugar) in your blood. Demega formulations India is major exporter of PRADAXA (Dabigatran )prevents the development of a thrombus. 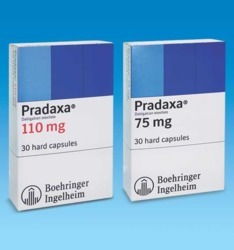 PRADAXA (dabigatran etexilate mesylate)is indicated to reduce the risk of stroke and systemic embolism in patients with non-valvular atrial fibrillation. dabigatran etexilate mesylate IS AVAILABLE by brand name "PRADAXA"in Australia, Europe and USA, by name "Pradax" in Canada and by name " Prazaxa" in Japan. Demega formulations India is a major exporter of PRADAXA (dabigatran etexilate mesylate) is a direct thrombin inhibitor prevents the development of a thrombus. 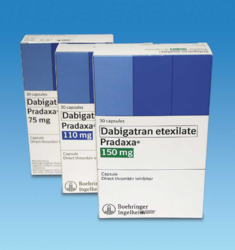 PRADAXA (dabigatran etexilate mesylate)is indicated to reduce the risk of stroke and systemic embolism in patients with non-valvular atrial fibrillation. 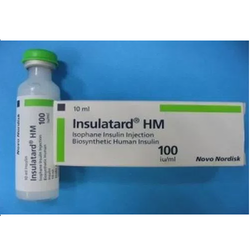 Demega formulations India is a major exporter of INSULATARD-(isophane insulin ) a hormone that is central to regulating energy and glucose metabolism in the body. 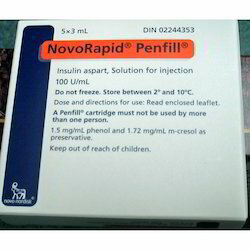 In Diabetes ,when prolonged action is required INSULATARD-(isophane insulin )lowers blood glucose about 1½ hours after subcutaneous injection,and whose effect will last up to 24 hours.INSULATARD-(isophane insulin )is available HM penfil,flexpen, suspension. Demega Formulation India is a Major Exporter Of Pioglitazone Tablet is for the treatment of type 2 diabetes a prescription drug an antihyperglycemic, antidiabetic acts by exserting hypoglycemic action,decreases blood sugar levels. Pioglitazone Tablet Avaiable in USA, UK and Germany, by brand name "Actos"
we assure quality of medicines,medicines of long expiration date and ship in discreet packings. In Diabetes when prolonged action is required INSULATARD-(isophane insulin ) lowers blood glucose about 1½ hours after subcutaneous injection,and whose effect will last up to 24 hours. 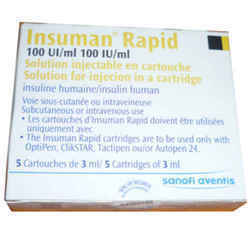 INSULATARD-(isophane insulin )is available HM penfil,flexpen, suspension. 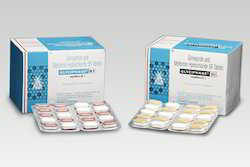 Ee assure quality of insulins, insulines of long expiration and ship in discreet packing. 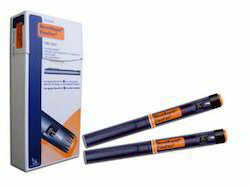 Demega formulations India is a major exporter of "GLYCIPHAGE(metformin)"used to control blood sugar levels in people with type-2 diabetes mellitus overcomes insulin resistance and it has an extra-pancreatic peripheral action also has fibrinolytic activityfor avoiding vascular complications. we assure quality of anti diabetic medicines,diabitic medicines of long expiration date and ship in discreet packings. Demega formulations India is major exporter of TRAJENTA (Linagliptin Tablets) for treatment of type II diabeties by stimulating the release of insulin in a glucose-dependent manner and decreases the levels of in the circulation. 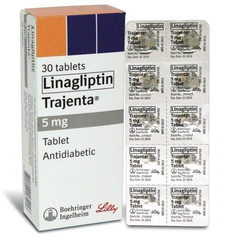 Linagliptinmarketed in the USA BY brand name"Tradjenta". 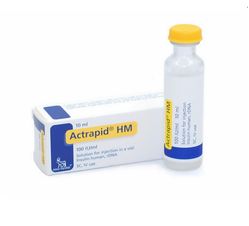 Demega formulations India is a prime exporter of human soluble insulin "Actrapid (short acting insulin)" Injection should be followed by a meal or snack within 30 minutes ,Maximum effect: 1-3 hours. Demega formulations India is a major exporter of ultralong-acting basal insulin"Tresiba (Insulin degludec)' for the treatment and management of type 1 and type 2 diabetes mellitus. 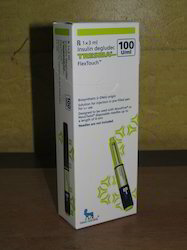 "Tresiba (Insulin degludec)'should be administered once daily, and the action of insulin is over 42 hours. 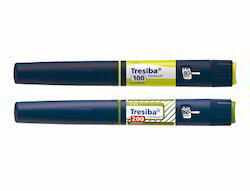 The long-lasting action of "Tresiba (Insulin degludec)' can flexibly allow the patients to self-administer, whenever needed AND the anti-hyperglycemic effect is unique as the threat of nighttime low blood sugar in elderly diabetic adults in comparison is reduced. 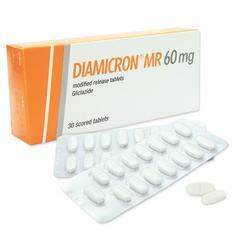 Demega formulations India is major exporter of DIAMICRON MR. (Gliclazide 30 mg.)and Modified-release breakable tablets. 60 mg. is an oral antidiabetic agent used in a certain form of diabetes (type 2 diabetes mellitus) in adults and is classified as a sulfonylurea increases the amount of insulin released by the pancreas and helps the body use insulin more efficiently. 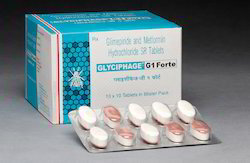 "GLYCIPHAGE G1 FORTE(glimepride)" marketed world wide . 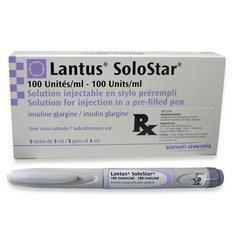 Demega formulations India is a major exporter of LANCTUS SOLOSTAR an easy-to-use insulin pen brings greater flexibility (insulin glargine) PRE-FILLED Insulin--- causes cells in the liver, muscle, and fat tissue to take up glucose from the blood, storing it as glycogen in the liver and muscle.